In 1983, a long way before Leos Carax fixed on Herman Melville’s novel Pierre ou les ambiguïtés (as he knew it) for a film and TV project, I considered writing an appreciation of Vikki Riley’s several short Super-8 films of the era, called ‘Vikki: or, The Ambiguities’. (1) Where I found the Melville title was in Andrew Britton’s text on Vincente Minnelli’s Meet Me in St Louis (1944), ‘Smith; or, The Ambiguities’. My article didn’t come together, but Carax’s script crystallised at its tenth draft – hence the cryptic initials (POLA) and the corresponding Roman numeral (X) that came to inscribe his film of the property. The Ambiguities. On Sunday 23 September 2012, a very disparate group of people – many of them unacquainted with each other – gathered upstairs at the Tote hotel to pay tribute to Vikki Riley, who passed away after a tragic road accident on 9 September. Speaking to others at that Tote event was truly a Citizen Kane-like experience: Vikki had lived so many lives, in different parts of Australia and various parts of the world; she had known and worked with so many people; she had been through so many starkly contrasting phases in her fifty years on earth. Vikki the denizen of the ‘underground’ music scene and eventually singer of Slub (a rare video of the band was screened that Sunday); prolific critic/writer on film, music and art; filmmaker and painter; absorber of languages and cultures; political activist. I heard things that day – about her Indigenous parents, about her immersion in religion – that I found hard to square with the Vikki I knew in the 1980s and ‘90s in Melbourne. Each of us traced our own circle of confusion and incommensurability: Vikki, or The Ambiguities. Some years after the last time she and I spoke in 1997, she relocated to Darwin, got married and began a family. Much of her energy was devoted to organising art classes and exhibitions for refugees held in detention centres. The handful of webpages she left behind (2) show her involvement with media pedagogy. Her political work in Darwin was tireless, and is being continued by others now. To the very end, she was a stirrer, suspicious, sarcastic, a little bit paranoiac, fanatical, always up for a knockdown verbal-rhetorical fight on the Internet’s social networks (such as nothingness.org). One of her final Facebook postings (13 February) declared: ‘Yes, I am a pushy, insistent person who has been obsessively helping Hazaras in detention’. She had the ability to brusquely exile from her life anyone who had disappointed her, crossed her, or failed to live up to her high ethical standards. (I, like many, did not manage to stay the course.) By the same token, she was no angel. Recently going though storage boxes of my old papers, I rediscovered several handwritten manuscripts by Vikki that I had kept from the period 1982-4. I would be almost certain that she did not keep much of this kind of thing, ever, herself; as well as the Kane-chameleon factor in her life, and the periodic geographic relocations, there was also, in certain periods, a high chaos factor. Yet what is extraordinary to gauge, in retrospect, is the enormous range of publications to which Vikki managed to contribute, sometimes becoming a cherished ‘regular’: a provisional list would include Vox, The Virgin Press, Tension, Xpress, Filmnews, On the Beach, Cantrills Filmnotes, Stuff, RealTime, Art and Australia, Where’s My Satellite?, Photofile, Scratch, Cteq, Waves, Cinema Papers, Super-8 Newsletter and Art Monthly. She appeared often (and with memorable feistiness) on radio stations 3RRR, 3PBS and 3CR in Melbourne. She was also, in recent years, English-language editor for Kabul Press. I believe it would be fair to say that Vikki did not work at her writing with equal care or intensity at all the phases of her life; at some moments it was more personally expressive, at others more politically instrumental to her. Yet the paths of poetry and politics were never entirely separable in her work, at all its diverse levels – that much was evident in her life-long choice of favourite filmmakers, from Chris Marker, Chantal Akerman, Erich von Stroheim, Frank Borzage and Raúl Ruiz to Sergei Parajanov, Agnès Varda, Jacques Tourneur, Wim Wenders and Max Ophuls. This dossier selection draws from Vikki’s earliest output as a critic and writer. Later on, she signed only one book chapter in a ‘mainstream’ academic publication – a study of Australian Punk (on which she was truly an expert) published in Philip Hayward’s edited collection Pop to Punk to Postmodernism: Popular Music and Australian Culture from the 1960s to the 1990s (Sydney: Allen & Unwin, 1992). The bulk of her written work, over three decades, took the form of short, pithy, sometimes scatty reviews and commentaries. But it is striking to realise that in this 1982-4 period – amazingly, from the ages of 20 to 22 – she produced some of her lengthiest, most thoughtful and in-depth pieces. Although Vikki always had an acute eye for social conditions and contradictions – having lived quite a few of these herself – this early work came before the decisive, radical politicisation she underwent in Berlin in 1985. That cataclysmic event opened, on many levels, another, newer chapter in her life. After that, her writing, and her investment in writing, was never quite the same – it took another road, and cultivated different priorities. But the writing of 1982-4 came at the end of what was, in fact, a quite long, entirely personalised apprenticeship as an insatiable observer/consumer of underground cultures both here and abroad. She mixed with astonishingly erudite artist-thinkers in her Melbourne circle – such as Marcus Bergner, Simon Crosbie, Marie Hoy and Frank Lovece – and soaked up everything they taught her. By the time she showed up in 1982 as an unenrolled student in my film classes at Melbourne State College (now part of University of Melbourne), Vikki was already way past ‘connecting the dots’ of cultural reference points; her analytical skill was in overdrive. She read voraciously – even if in a piecemeal fashion – and we can detect, in the four pieces gathered here, echoes of writers she admired, such as Jean Baudrillard, Meaghan Morris, Philip Brophy, Guy Debord, Bill Routt, Thierry Kuntzel, Simon Reynolds (his Monitor music fanzine), Lester Bangs, Julia Kristeva, Emil Cioran, Thomas Elsaesser and Ted Colless. Writers who liked to mix their modes, as Vikki did, in what later came to be known as ficto-criticism: critique, memoir, fiction, travelogue, personal address, plus a tissue of well-chosen quotations. We can also easily tell just what, from a very young age, she loathed and despised in what she read, and indeed in the world at large – because, like in the Public Image Ltd anthem, anger was an energy for her. 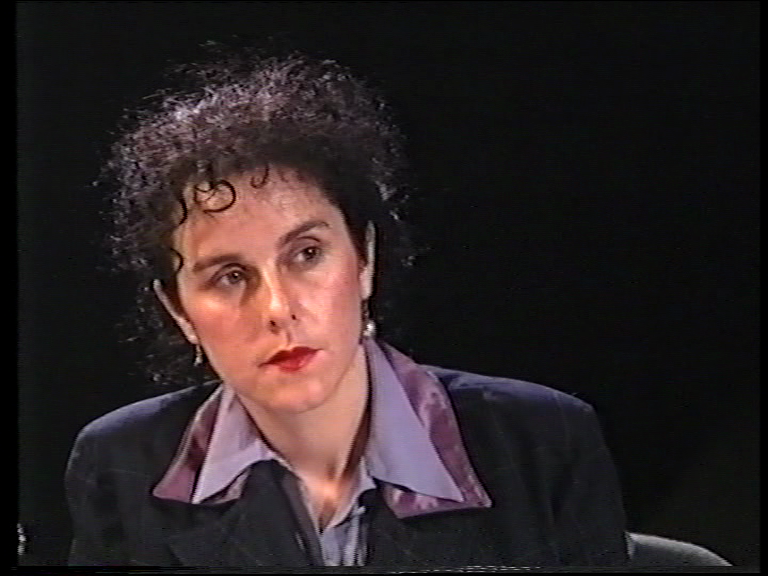 She kept close tabs on local publishing – Local Consumption, Art & Text, all levels of the music press – but always had her antennae tuned to inspiring movements abroad, such as the Italian Autonomia actions as filtered by Semiotext(e) or the Working Papers group in Sydney. Even at her angriest, or her most depressed, Vikki kept fighting her way back to a politics of hope – and she found the resources for that difficult optimism everywhere. As would be the case for many of her comrades of the 1980s, this selection of Vikki’s early writings also functions as a tiny piece of an archaeological investigation into a vanished culture in Australia: all three magazines (Stuff, On the Beach and The Virgin Press) went belly-up long ago, and are hard to find in most libraries (even university archives) today. Even constituting a complete bibliography of Vikki’s publications would be a daunting task now, so scattered and (for the most part) forgotten are her preferred venues for discourse. We may not think it, looking at the contemporary cult revival around a film such as Richard Lowenstein’s 1986 Dogs in Space (which Vikki caustically reviewed at the time, because she had ‘been around’, first hand, much of what is fictionalised there), but progressive Australian culture certainly has its ‘lost generation’ – or two. Screening the Past offers this tribute to Vikki Riley and her prodigious work as a gesture against such wholesale cultural oblivion. Vikki ou les ambiguïtés. 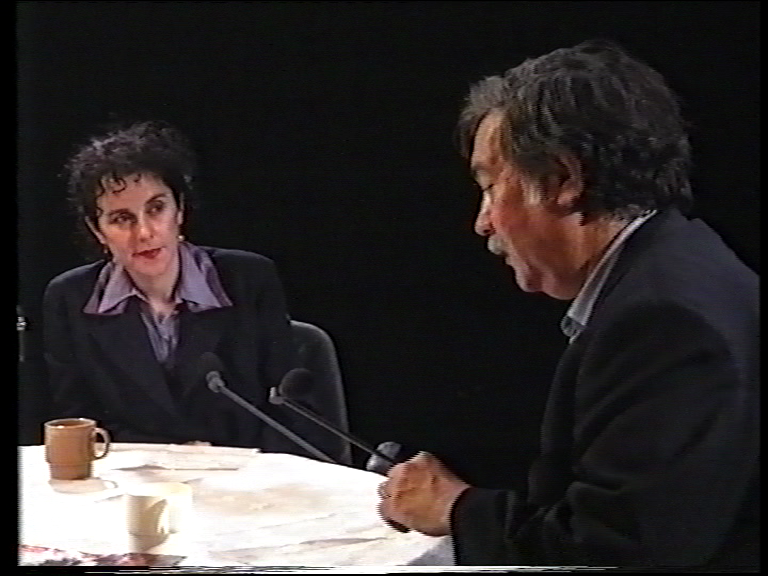 The two images of Vikki are derived from a 1993 video interview conducted by her and Adrian Martin with Raúl Ruiz at Rusden (Melbourne, Australia), directed by Stephen Goddard. These films are documented in Cantrills Filmnotes, no. 43/4 (1984), pp. 3-5. In 2011, according to the records of the Northern Territory Film Office, Vikki received the princely sum of $3,600 to make a film titled Bring Me the Head of Nicolau Lobato; I am unaware of its fate as a project.